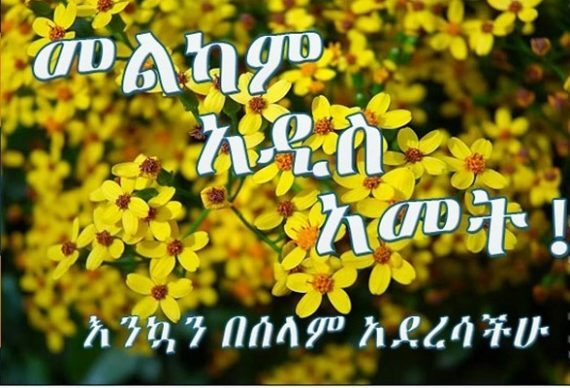 Ethiopian New Year brings new hope and optimism | Ye Dallas Radio! - የዳላስ ራዲዮ! This Ethiopian New Year is certainly uniqe in that it brought about hope the future of Ethiopians as decades-old repression is ended. New Year eve party is organized in at Millennium Hall in the capital Addis Ababa is paid for by the Ethiopian government. More astounding is that political leaders who were exiled for years due to their political views are not just back to their country but they were the government’s guest of honor during the event. No wonder Ethiopians are optimistic, or at least cautiously optimistic, about the year ahead and the future of Ethiopia. Ethiopian New Year falls on the 11th of September and this year almost it coincided with Jewish New Year Rosh Hashana and the Islamic calendar.